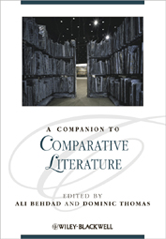 A Companion to Comparative Literature presents a collection of original essays from established and emerging scholars, which explore the history, current state, and future of comparative literature. - Features original essays from leading international contributors. - Provides a critical assessment of the status of literary and cross-cultural inquiry. - Addresses the history, current state, and future of comparative literature. - Chapters address such topics as the relationship between translation and transnationalism, literary theory and emerging media, the future of national literatures in an era of globalization, gender and cultural formation across time, East-West cultural encounters, postcolonial and diaspora studies, and other experimental approaches to literature and culture.